This week the father of eight strong Knights of the Round Table come to join us with his qualities of honour, purpose, strength and honesty. Pellinore was one of the first to join the Knights of the Round Table, however how he and Arthur met was rather unfortunate, they ended up fighting each other. However, Pellinore wasn’t aware he was fighting his king. Pellinore’s main task (pointless as it was) was to slay the Questing Beast. That quest eventually fell to Palamedes. For a man who fathered a total of nine children (eight of whom were boys) he was away a lot of the time, I wonder how his wife coped? After a weekend of looking after my own three on my own, I can only relish the time I’ve had and the time I get to share the responsibilities with my husband again. 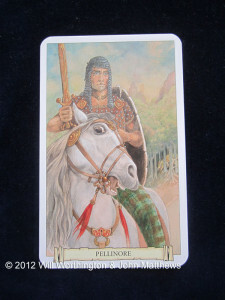 Pellinore fought against Lot of Orkney, Gawain’s father in the War of the Eleven Kings. He was full of earthy humour, determined energy and these valuable assets can help us too in the coming week. 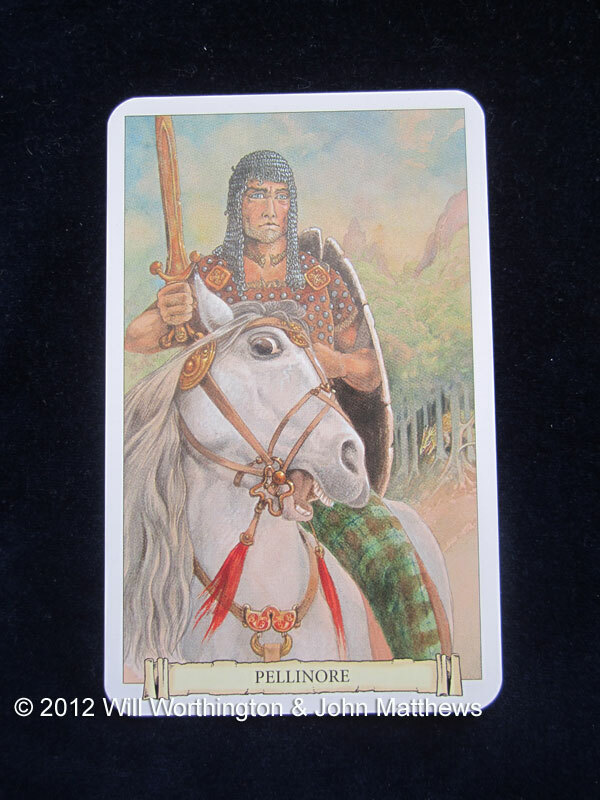 Pellinore is strong in physical body and courage, so having him by your side this week is going to be a bonus. Is there any force greater than your own, with his wind in your sails? Whenever you read this post, take his wind and shove it into your sails with vigor. However, there are some things to consider this week and I since I don’t know what questions you have that need answers, here are some questions for you to consider. What’s the purpose of the journey you’re on? Why do you think this challenge has arisen now? Do you know what circumstances in your life bought you to this place? How will you feel about things a week for now? Do you know when these circumstances began? Can you find better ways to proceed? Do you understand what steps and directions you can take? Who is the person that is on the other side of the situation that is your best friend, your champion? Pellinore was always ready for battle, even if he was asleep under a tree when he first met Arthur. Are you? If you’re not, you can book your personal email or one-to-one with me via this link and we can work on how to get you battle ready, but the magic is within you. I am not always ready for battle, but I’ve learned to choose my battles wisely and that’s something too. Same to you! tomorrow the storm here will be force ten! !